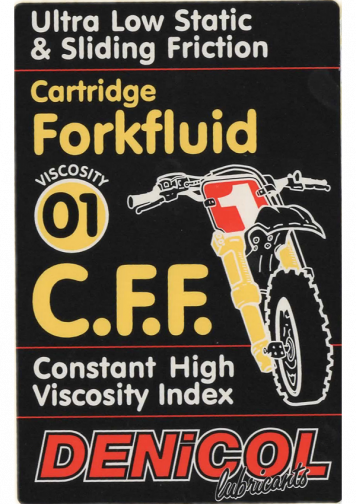 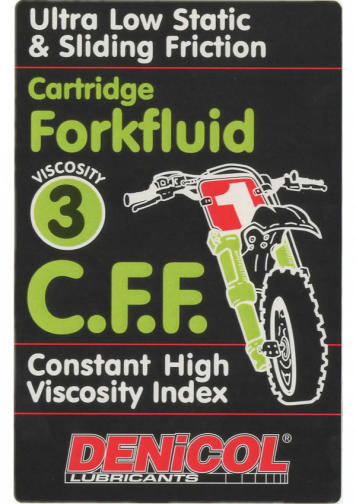 Denicol CFF Forkfluid offers all the latest technological advancements in fork fluid, in addition to a very high viscosity index. 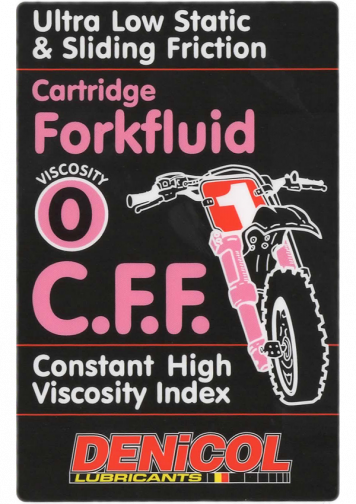 It offers reduced seal stiction and will improve bushing life. 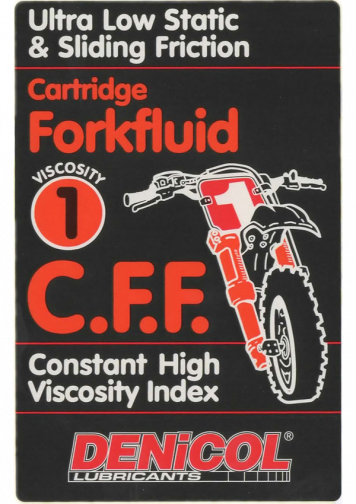 It reduces static and sliding friction of all cartridge intervals by providing a protective non-foaming barrier between all contact areas. Non foaming – protects seals – prevents corrosion.